then wash it all away, with Fairiche Gentle Radiance Foaming Cleanser. This refreshing cleanser removes makeup, impurities, oil and dirt from your skin. Leaving it moisturized and brightened. Your complexion is left brighter and more even-toned. It is made for all skin types and is Paraben Free. It contains Alpha Hydroxy Acids to help remove dead skin cells and boost clarity. This foaming face wash is formulated with Fairich’s Vitalucent Complex – a natural skin lightening botanical blend that includes Bearberry Leaf Extract, Mulberry Leaf Extract, Licorice Root Extract, and Panax Ginseng Extract. So go ahead and get dirty, because you can clean up with Fairiche…. DOING IT INSIDE AND OUT…..
caring for your skin with ProDermagenix. This company helps you fight aging from the inside and out. 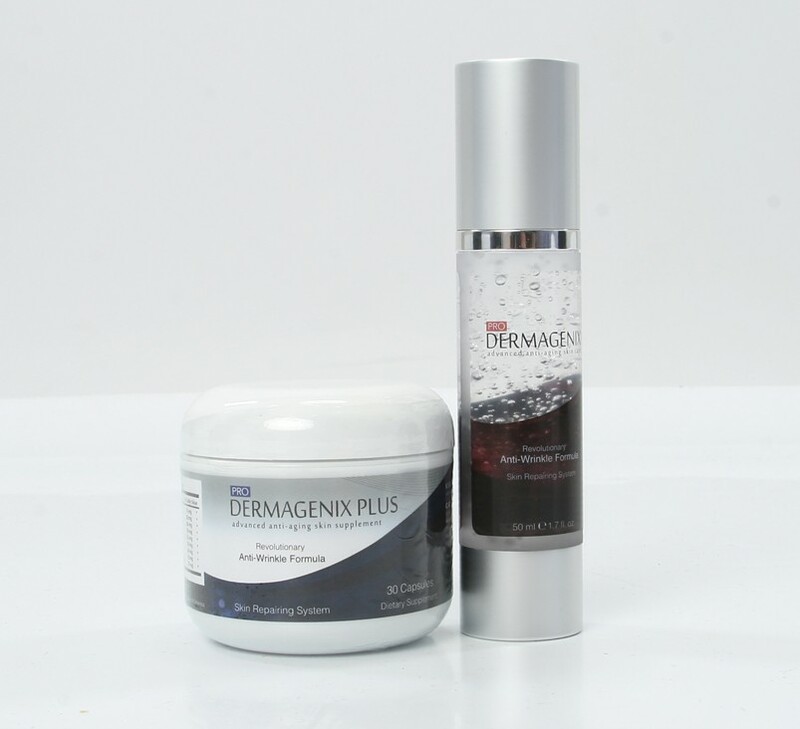 The ProDermagenix Plus Skin Vitamins provide a high potency combination of nutrients to keep your skin healthy. As well as Collagen, Hyaluronic Acid, Green tea, grape seed, resveratrol and alpha Lipoic acid. Their Anti-aging serum uses state of the art firming ingredients to reduce fine lines, wrinkles, age spots, and puffiness. The serum has vitamin E, shea butter, and a skin tightening Complex. So defy aging with ProDermagenix and get at it inside and out…..